Define checks executed on self defined entities. Define alerts with thresholds on checks and entities as it fits your team. 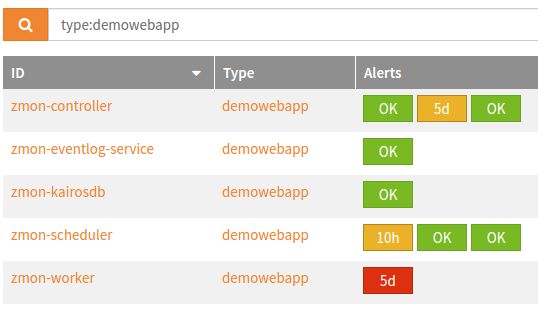 Share checks across teams and reuse alerts with inheritance to customize alert levels. 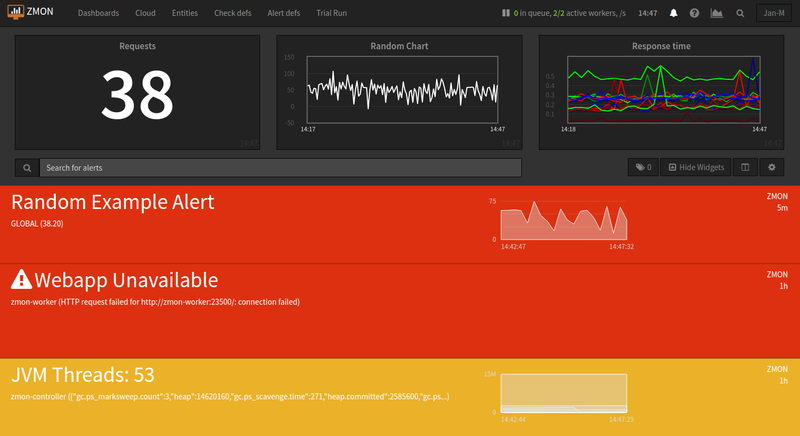 Define custom dashboards with widgets and alert filters based on teams and tags. 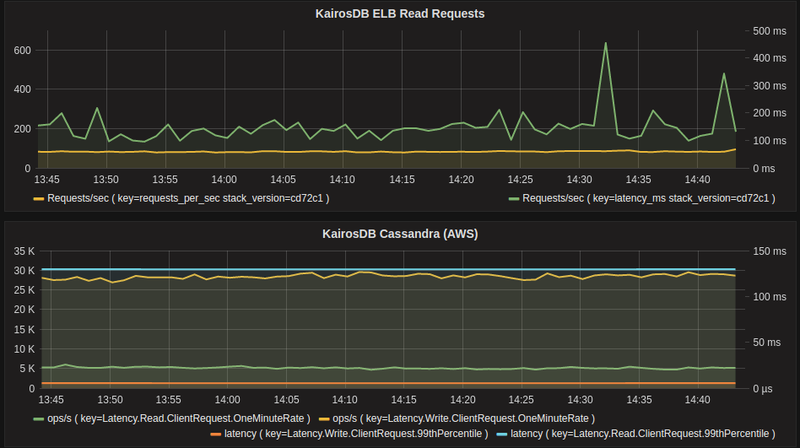 Use Grafana to create chart heavy data dashboards using the stored data from KairosDB. Check command and Alert condition are arbitrary Python expressions, giving you a lot of flexibility and power. Python integrates perfectly with low-level tasks and lots of systems you will have deployed in your platform. 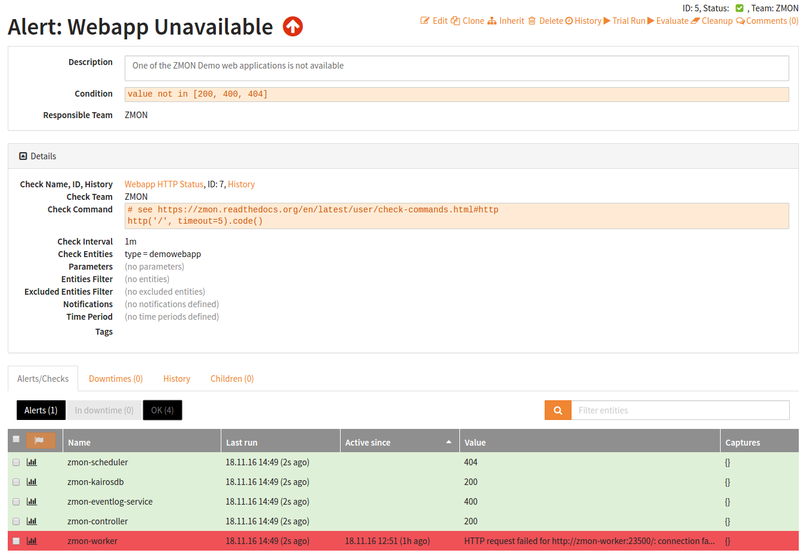 After gathering your application's API metrics ZMON's cloud UI helps you to visually understand what is happening in your service. Rendering the different API paths along with the relevant metrics. The "classic" overview of alerts and their state accross entities. 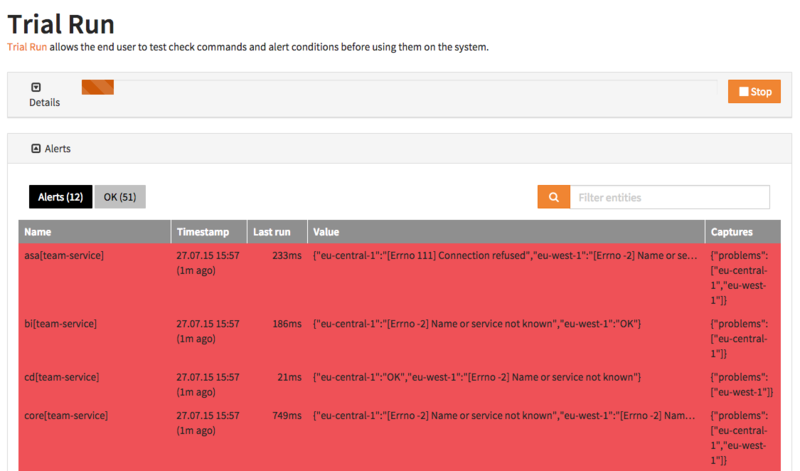 Search for the entities and show all alerts mapped to those entities with their current state. Use trial run in the UI to develop your checks/alerts with quick feedback. Trigger instant evaluation from UI for checks on longer intervals to rerun commands. .